Diamonds have long been the symbol of faith and everlasting love. Diamond is the hardest mineral on Earth, and this, combined with its exceptional lustre and brilliant fire, has made it the most highly prized of all gems. Pure, colorless diamond is the most popular, but other varieties- from yellow and brown to green, blue, pink, red, grey and black – are also found, depending on the impurities present. Diamond is pure carbon, crystallized under a very high pressure and temperature. In nature, this sort of environment exists only at depths of 150 to 200 km below the surface of the earth. Volcanic eruptions drive the diamond bearing rocks to the surface of the earth where the diamonds can be extracted. Most natural diamonds are around 1 billion to 3 billion years old. The diamonds are mined by various methods, depending on how the diamonds are presented at the earth’s surface. It is usual that 250 tons of rock, sand and gravel must be processed to yield one carat of diamond. Once the diamonds are found and removed from the earth, they need to be changed from rough crystals to polished gems. A rough diamond obtains its final shape and brilliance by a succession of manufacturing processes: cleaving, sawing, and polishing. Finally, the quality of the diamond must be defined. 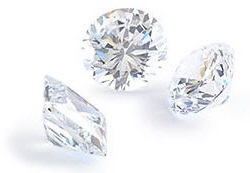 The quality of a diamond is determined by the four c’s – carat, color, clarity and cut. A diamond is graded for quality in a certificates laboratory such as the European Gemological Laboratory (EGL), or the Gemological Institute of America. Colored, or fancy diamonds are the most rare and priceless diamonds available. Most people have never even heard of colored diamonds. Almost all of the publicity and advertising for diamonds is slanted towards convincing consumers that white, or more accurately colorless, is the only desirable color for diamonds. Diamonds occur in a wide variety of colors, many of which are very attractive and, due to their rarity, are even more desirable than colorless ones. This is particularly true of intensely colored diamonds. Colored diamonds are hardly ever promoted because they are so rare. Intense, or canary yellow is the most common, with only a handful of natural blues and reds even known to exist. 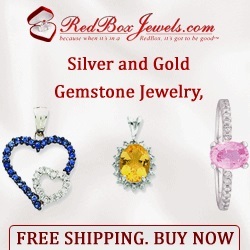 The prices for these natural colored diamonds can easily top $60,000 per carat, with some reaching well over $500,000. Australia is the main producer of diamonds and they are also found in Ghana, Sierra Leone, Zaire, Botswana, Namibia, Brazil, Russia and the US. Diamond is the birthstone for April and the 60th anniversary stone.